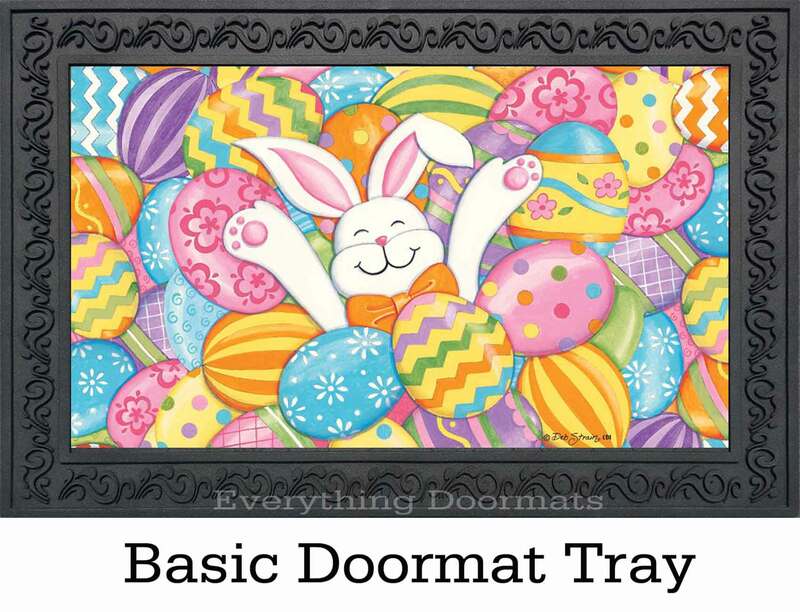 If you're looking to add some humor and bright colors to your decorations this Easter, get this Bunny Eggs Easter Holiday decorative Doormat. 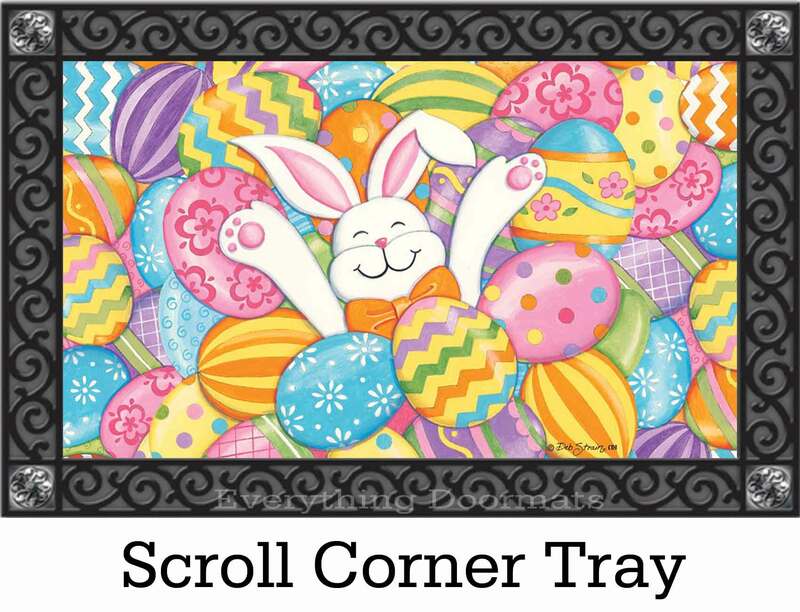 You can greet your guests and loved ones at the front door with this mat paired with our outdoor tray. 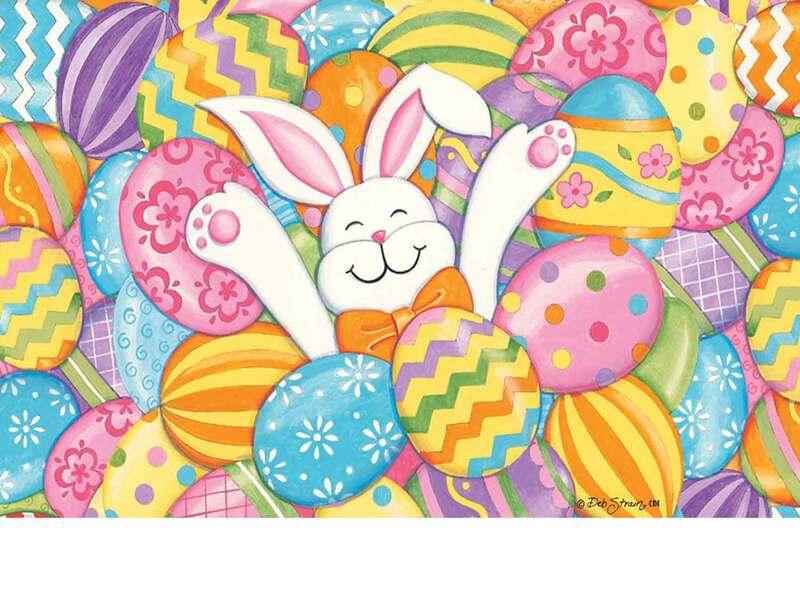 Let everyone know how much you love the Easter holiday. 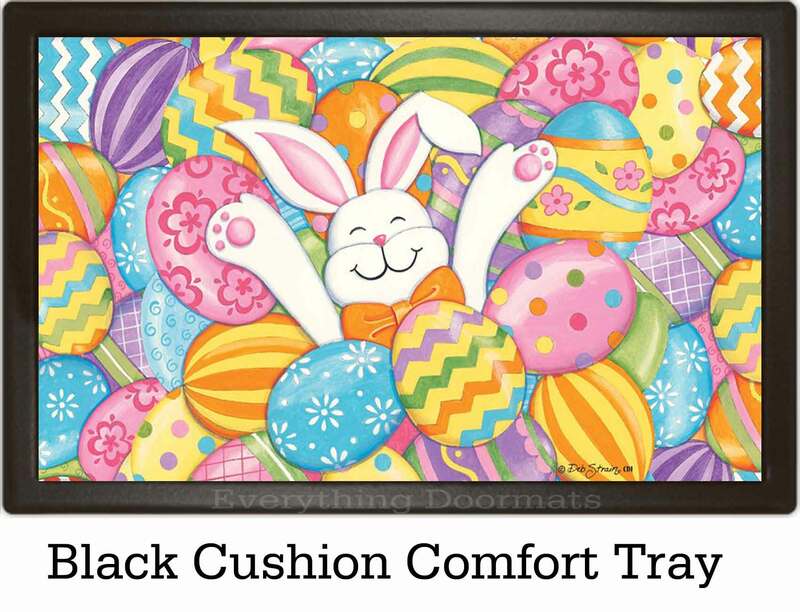 You can even use your mat as a kitchen floor mat when paired with our indoor tray that is great for cushion comfort that eases stress on the knees and feet. 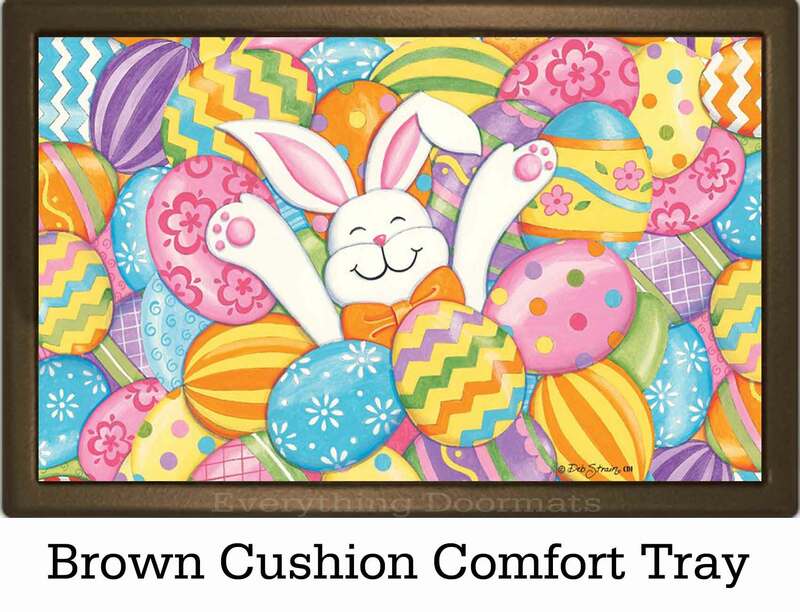 This mat can be displayed in the living room, by the fireplace, in your office or anywhere you wish. 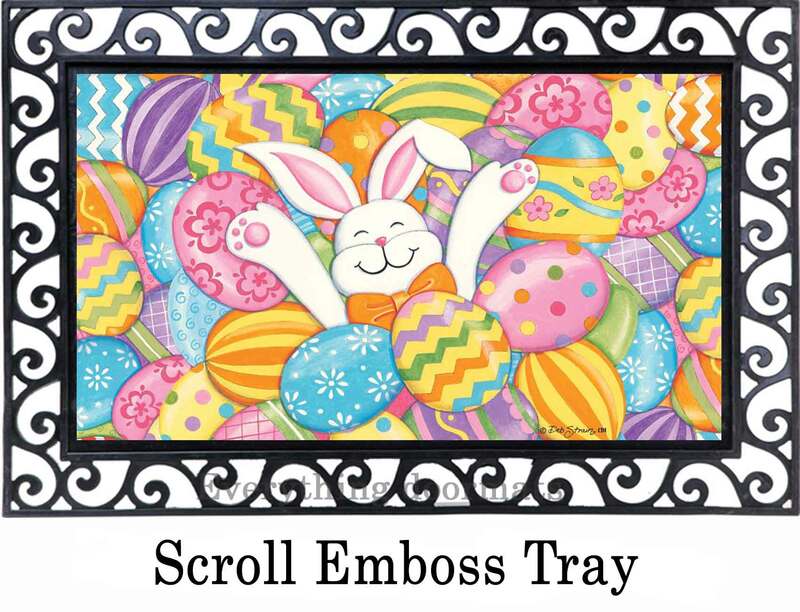 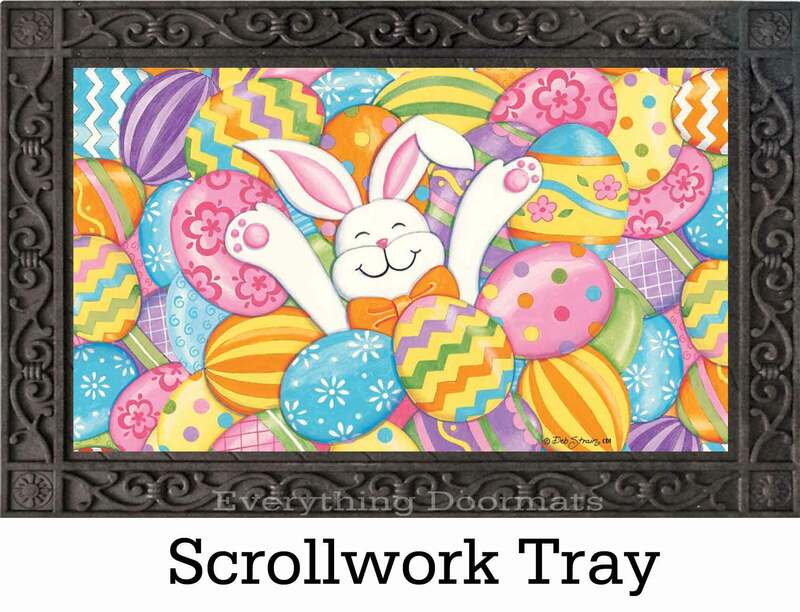 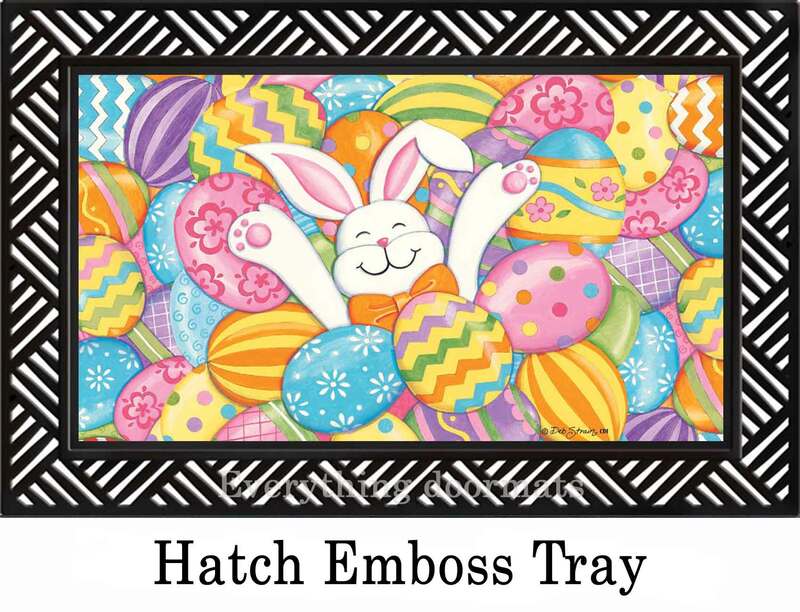 This Bunny Eggs doormat is 18" x 30" x 3/16" when used as a stand-alone mat and has a matching garden flag & house flag that can be added to your order as separate items using the Doormat or Flag drop down menu above.